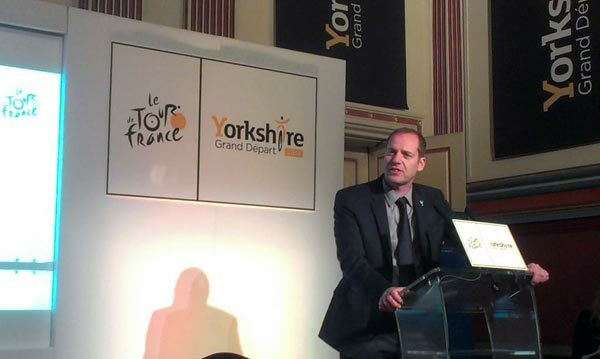 The official British launch of the Yorkshire Grand Depart of the 2014 Tour de France took place on Thursday evening in Leeds Town Hall. 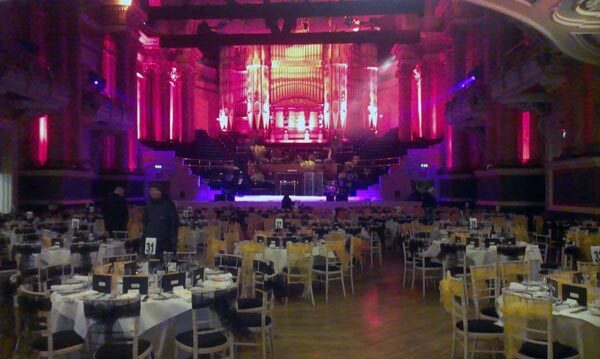 The Town Hall was decked out with Tour de France banners on the outside, and inside the media and special guests packed the main hall. Tour director Christian Prudomme followed up the morning’s stage announcements in Paris with further details of the three opening stages to be hosted by the UK. 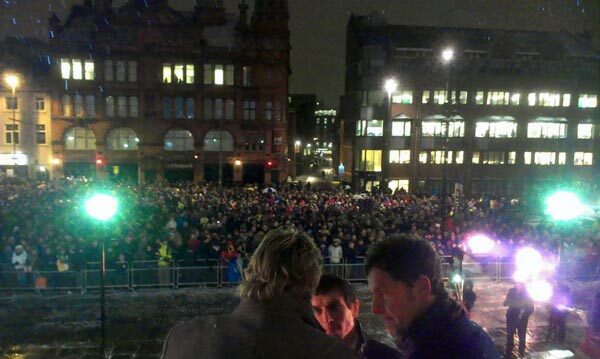 The route announcement was followed by fireworks and a party outside the Town Hall. The stage will start just outside Leeds Town Hall and feature two King of the Mountains climbs, one of which will be Buttertubs Pass. However, the final 70km will be flat and the stage is designed to be a sprint finish. The final 400 metres in Harrogate are straight and flat. 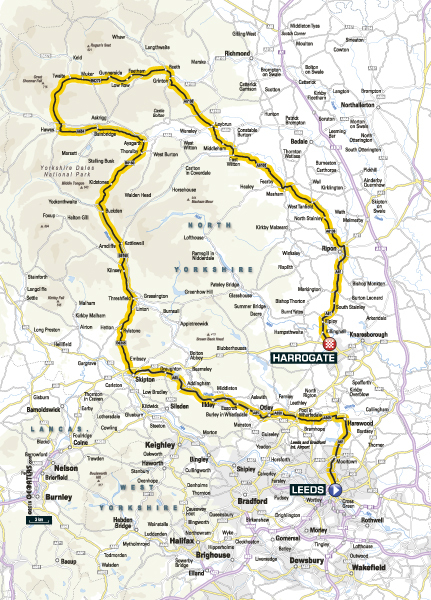 The race will pass through Harewood, Otley, Ilkley, Skipton, Kettlewell, Aysgarth, Hawes, Reeth, Leyburn and Ripon. “A certain sprinter might want to please his mother in Harrogate,” said Prudhomme, referring to Mark Cavendish whose mum lives in the town. The second road stage of the 2014 Tour will be very different from the first and will be loaded with eight climbs in the final 60km – totalling 1400 metres of ascent, and including Holme Moss in the Pennines. It’ll be a day for the attackers. 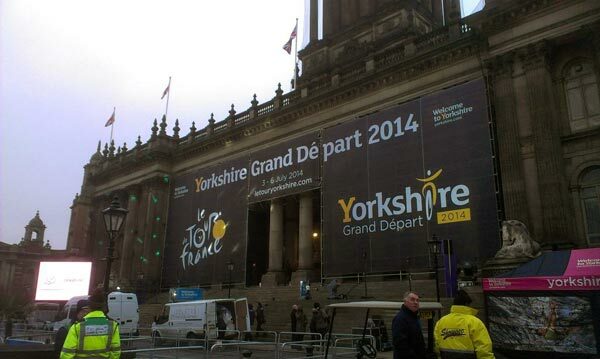 The stage will pass through Knaresborough, Silsden, Keighley, Haworth, Hebden Bridge, Elland, Huddersfield and Holmfirth. Details of the opening part of the final British stage are sketchy, with a dotted line on the official map. 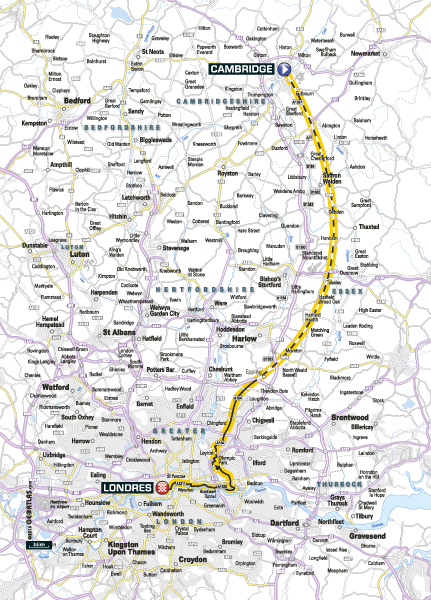 However, once inside the M25 near London the route has been firmed up. The race will pass through Epping Forest, then on to the Queen Elizabeth Olympic Park with a finish on The Mall. Mayor of London Boris Johnson appeared at the Leeds launch via video link and said: “London will be framed by shooting velocipedes”. We’re not sure either.